How to create a lively and engaging public space in a neighborhood that has too little of it? 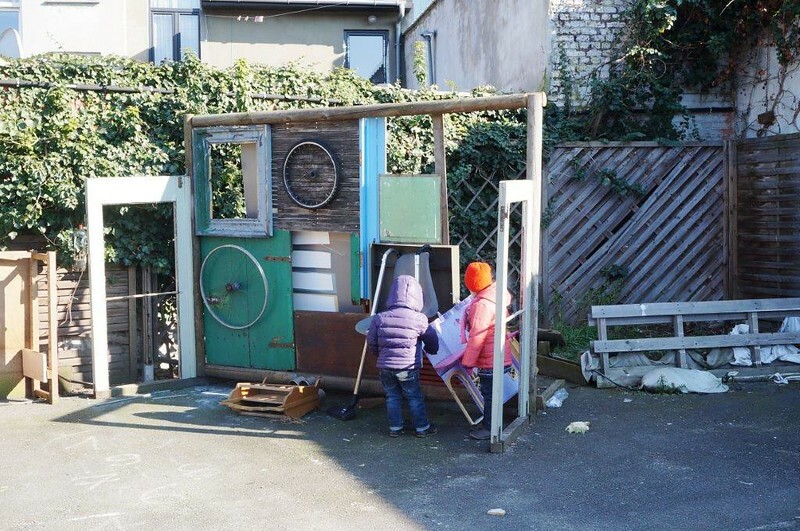 The Standaertsite old workshop area in the densely populated Ledeberg neighborhood of Ghent seems to have one of the best answers. And it relies much on the city’s practice and support of temporary use as tool for planning, engagement and co-creation. 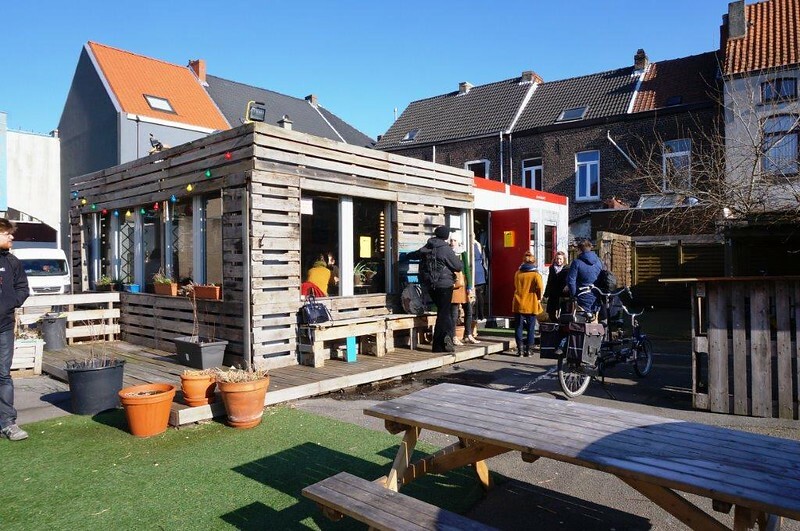 As the City of Ghent recognized the lack of public spaces in Ledeberg, it was willing to join the vision of local inhabitants and work together with them. 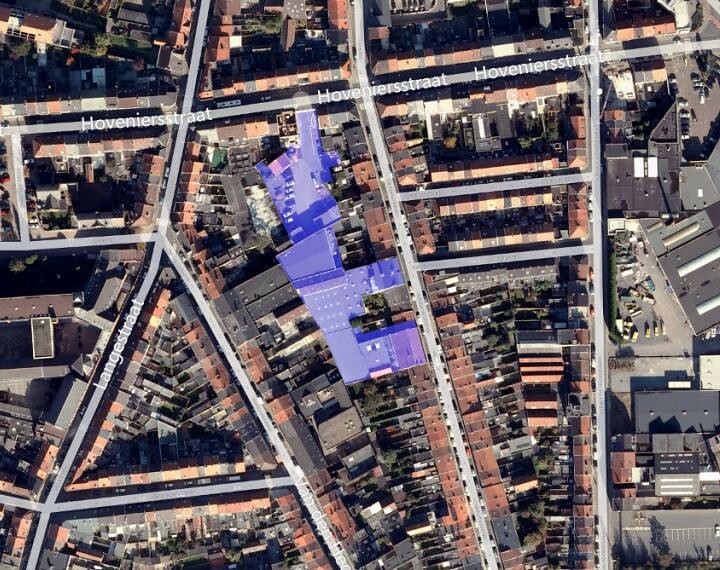 Therefore, city bought the area in November 2013 in order to develop it into green, open meeting space for local people. Our visit to the area and lunch in its central meeting place, a container based one room-cafeteria, was however short, but convincing of the energy of local people to claim their space. What does the neighborhood need? It is visible in the initiatives that the locals are providing to fill the space. One day a week this little, homely space hosts an open soup cafeteria and neighborhood initiative meetings. 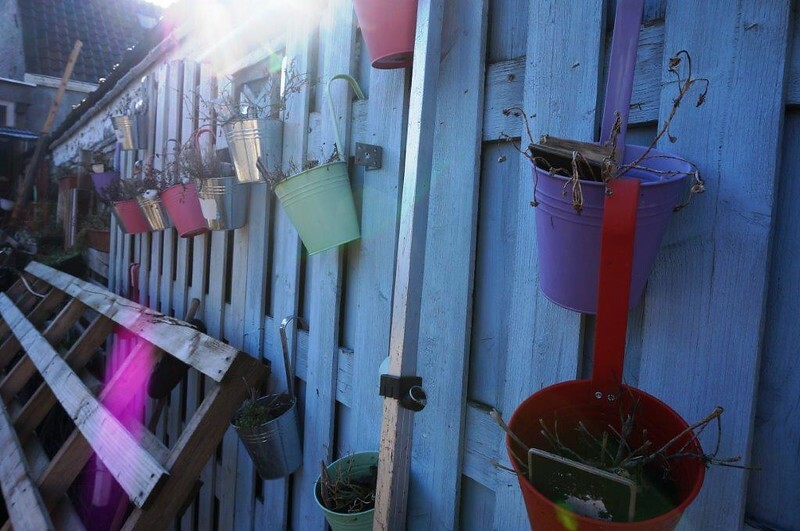 It is run by two energetic women who wanted to experiment with creating their own little place as a side project of their worklife, but now are seriously thinking about how to develop it into a permanent project. Other days of the week the space accommodates other neighbors – there are two days with theater training for youth from social risk background, there is a day for community school and dance lessons for toddlers and one day for coffee and pastries. Whatever the project applying, the ladies that run the space tell us that the only demand was that the container house is open for public. Yes, and the day we were visiting Standaertsite hosted also a peasants market. 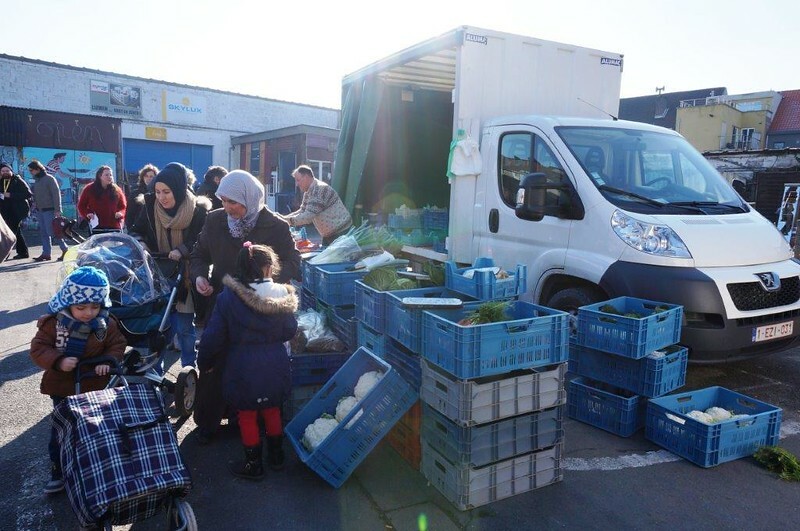 Standaertsite project is supported by Ghent’s temporary use fund and is overseen by a steering committee from local inhabitants. The fund has given money to transport and to set up the container house here, to install water and to comply with all the city safety regulations. It didn’t cost little, the budget from the fund was a bit more than 20.000 EUR. 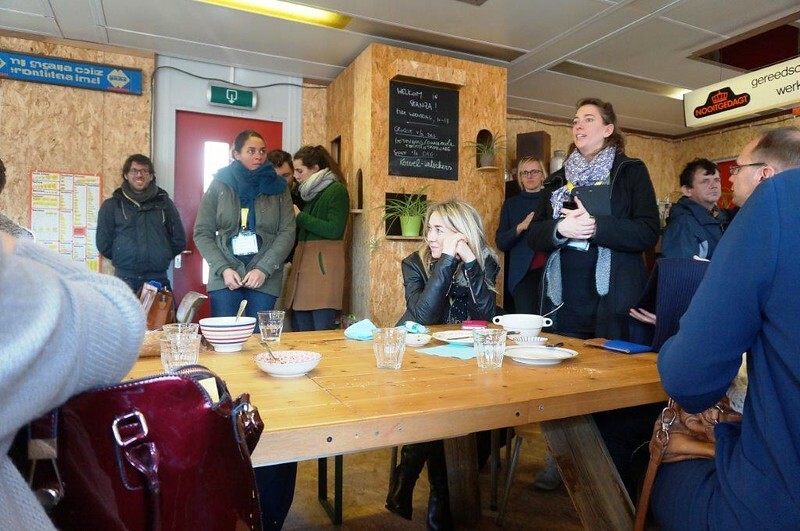 With this city aims both to support initiatives that address the needs of the neighborhood while its final development is still planned, as well as to engage inhabitants in reimagining the area and creating it together. Is such investment worth it for the city? In the end 20.000 EUR might be nothing in comparison with the total investment in the physical infrastructure and construction. And therefore the question should go differently. Is 20.000 EUR, perhaps not even 5% of the budget of creating the public park here, a lot for having a really well planned, popular and loved space?